Ride like a girl and be proud! 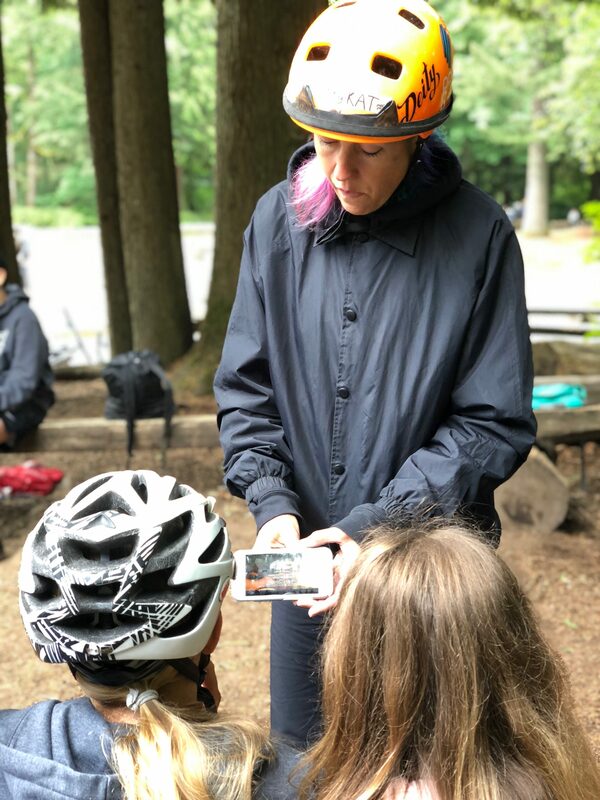 This camp is about building skills and confidence on and off the bike. 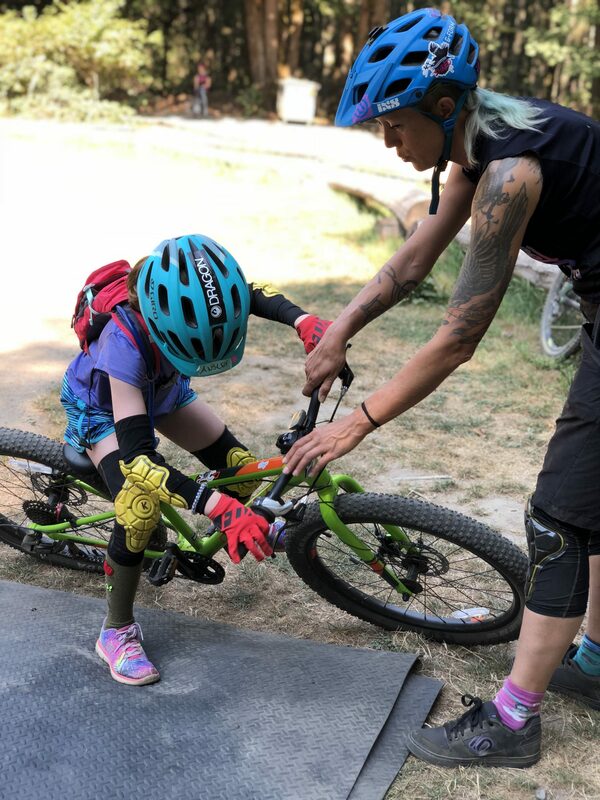 We will work on technique, ride trails, do some trail work, make inner tube art and jewelry out of recycled tubes, and learn to fix flat tires. Plus each day we will have talks about girlhood, how girls are marketed to, women in sports, and various topics the girls get to choose. Open to girls + FTW. All levels of riders are welcome! We will break into riding groups based on ability level. 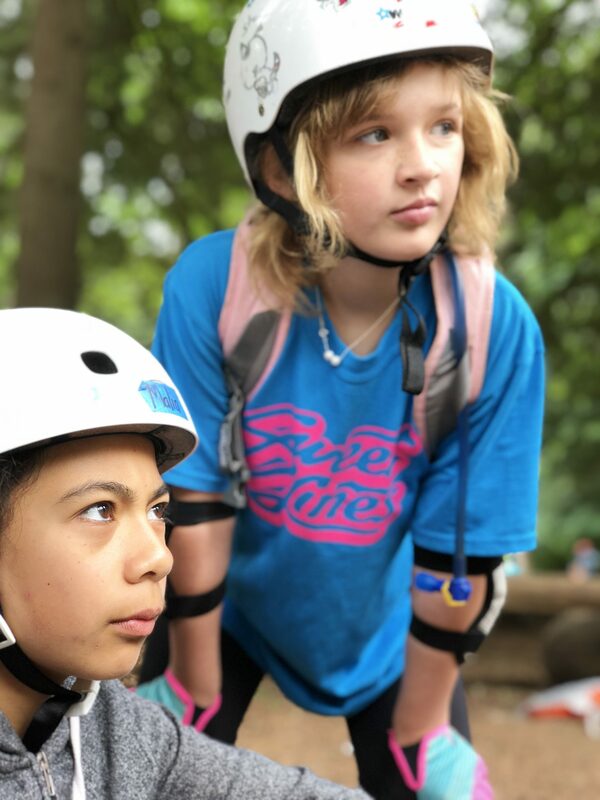 Format: This program focuses on learning all kinds of skills including; the basics of body position and balance, cornering, pump track, skinny bridges, wheel lifts over obstacles, steep edges and vertical edges, and for more advanced students drop offs and jumps. , uphill and downhill, roll downs. 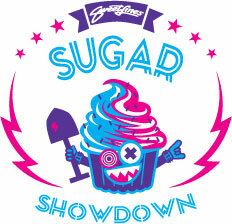 skinny bridges, wheel lifts, pump track, cornering, drops, and jumps for more advanced students. 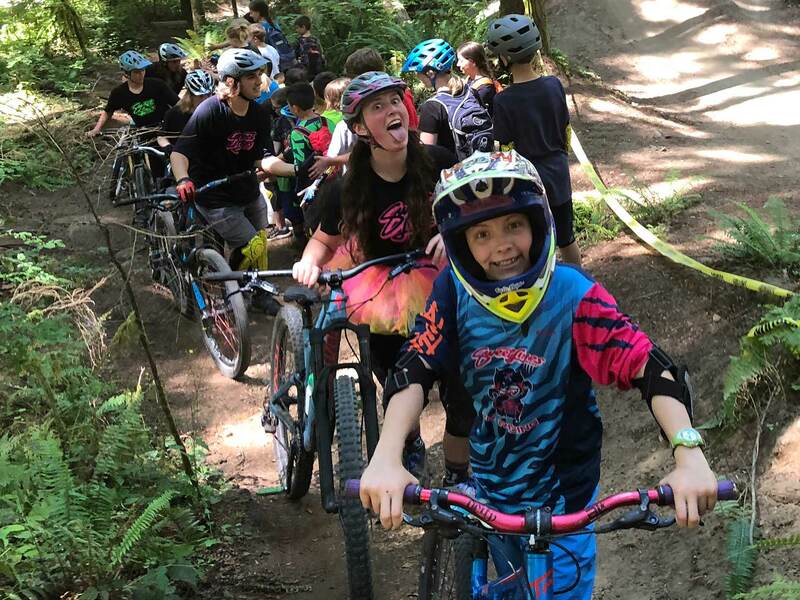 Trails will vary depending on student’s ability levels, including Boot Camp, Deuces Wild, Step It Up, Moving On, Jubilane, Voodoo, Luna Line, etc.